I had so much fun using my vintage china, some I have purchased and some that belonged to my Grandmother. I used all my own cloth napkins, they were all different but went together beautifully. My friend, Diane (the soon-to-be Mom-in-love) helped me scour Goodwill and Salvation Army for mismatched teacups which I filled with Lady Gray tea and homemade lavender shortbread. They were the take-home favors for the guests. I cut flowers from the garden that morning, including red rose, hydrangea in pink, blue, white, and lime, blue Love-in-a-Mist, and various daylilies. I had purchased some pink roses the day before because the rain had taken most of my pink ones away. 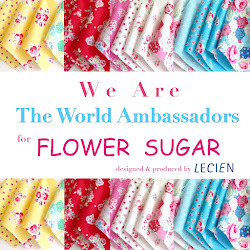 All the flowers were placed in vintage china of various size. I purchased a bundle of vintage wedding cards on Etsy and used Diane's collection of antique floral frogs to display them. 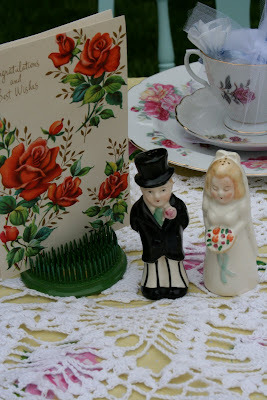 It was fun to add some vintage cake toppers as well as other bridal themed items. I have been collecting pretty doilies for such a long time and it was fun to use them on the table for added interest. 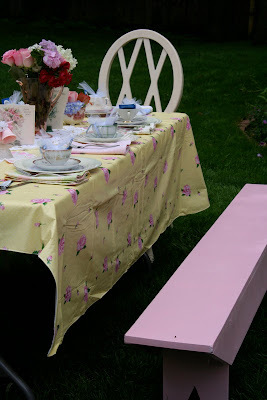 So many different items coming together to make pretty vintage-inspired tables. The painted chairs were borrowed from Diane and I purchased the benches at an estate sale and painted one blue and one pink. The flowers really added that special touch and pop of color. The scent of the roses were heavenly. It really was fun to use what I had. It's really not hard to make something special and remain on a budget when you utilize what you already have. It was fun to see all the wonderful, thoughtful gifts. 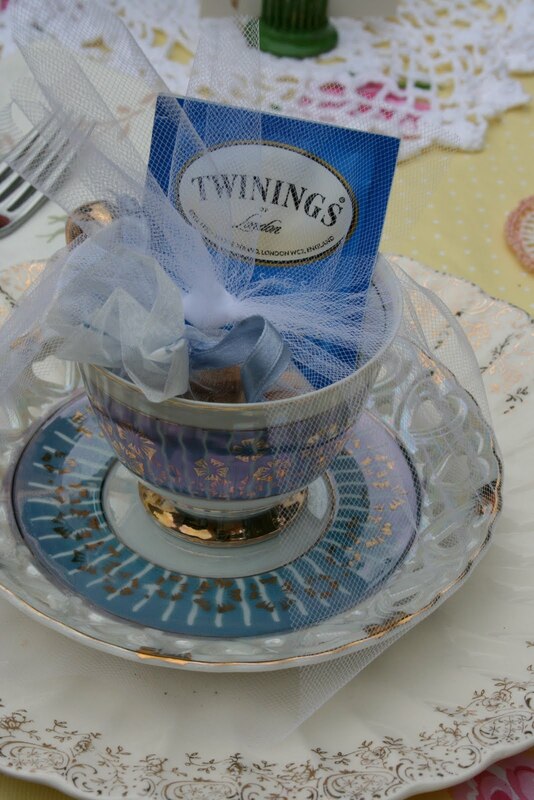 It brought back memories of my own bridal showers, all those years ago. 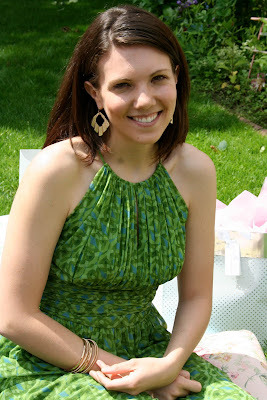 Without a doubt, the most beautiful part of the shower was our stunning Chelsea who made it all possible. She is beautiful, smart, funny, caring and kind (to name just a few) and I'm so glad that I was able to be a part of this special time in her life. Come back tomorrow for pictures of the items I made. wonderful women I have met through blogging. What fun. Everything looks beautiful, including the Bride-to-be. This is incredible. The photos look like they could be in a magazine...very, very sweet! Oh My Goodness! Everything is so beautiful and thoughtful! And, Chelsea is a very beautiful bride-to-be! Oh how very pretty! You did an amazing job! I love it all! Love all the different chairs! And that bride-to-be Beautiful! I also wanted to say sorry to hear about Max. Wow! Everything was absolutely gorgeous!! You truly have many gifts from the Lord and how wonderful to bless Chelsea with them! I am so sorry to hear about Max. His picture always brought a smile! May the Lord bless you today! What a beautifull shower! 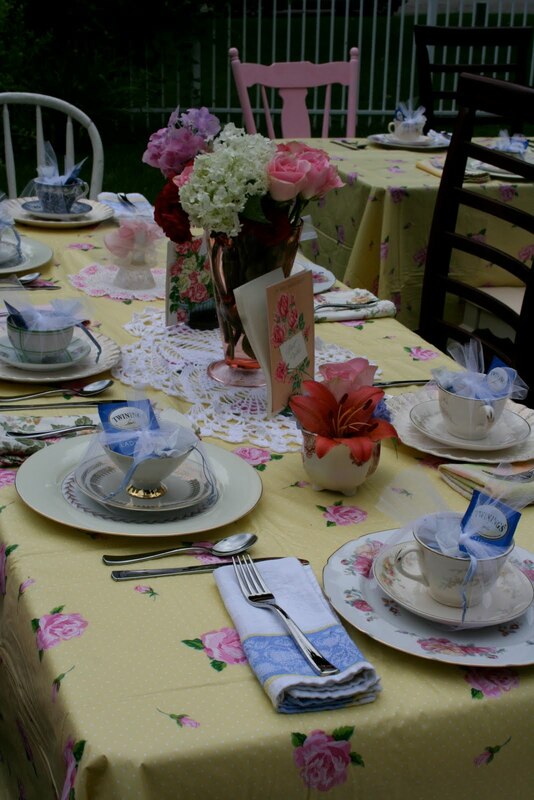 I gave a tea party bridal shower a couple of years ago for my sister in law to be! It was so much fun to put together- your photos brought back lovely memories! You did an amazing job on that shower!!! You really do have a gift of making people feel so special. So, sorry to read about Max. Love the pink bench seats. So pretty. What a wonderful shower! You really outdid yourself! Just beautiful!!! You sure know how to throw a party! Beautiful garden bridal shower.